PanaVise Heavy Duty Fixturing Head. Used with Heavy Duty Base. Four universal slots (0.25 inches wide) to easily attach work. Flat head is 3 x 6 inches. Stem is 1 inch in diameter and 3.25 inches long. 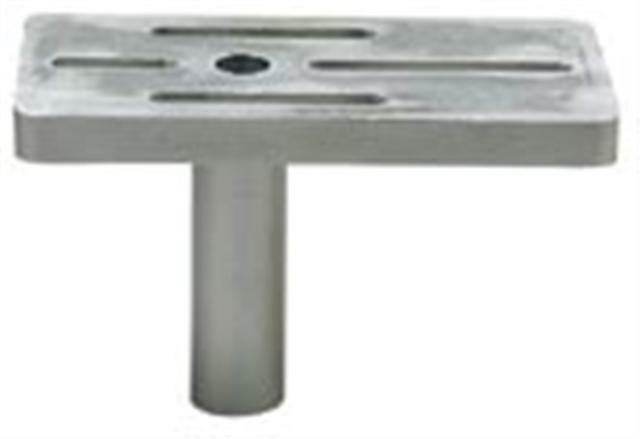 Stem is drilled and tapped 1/4-20 (screw included) for permanent securing to base. Height (bottom of stem to top of head): 4 inches. Weight: 0.75 lbs.